No garden? No problem. Take your greens indoors with our potted houseplants. Plants are the essence of every interior and the modern lifestyle. 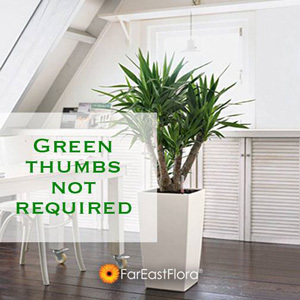 Our potted houseplants are style statements that epitomize who we are, while remaining true to nature. Apart from homes and offices, our potted houseplants are also perfect for small spaces such as bathrooms and study rooms. Only the best of our indoor plants are chosen and housed in the latest designer pots. It can also make the perfect gift for loved ones, business associates and special occasions. Light: Shady bright area with indirect sunlight. Water: Water when the soil feels dry to the touch. 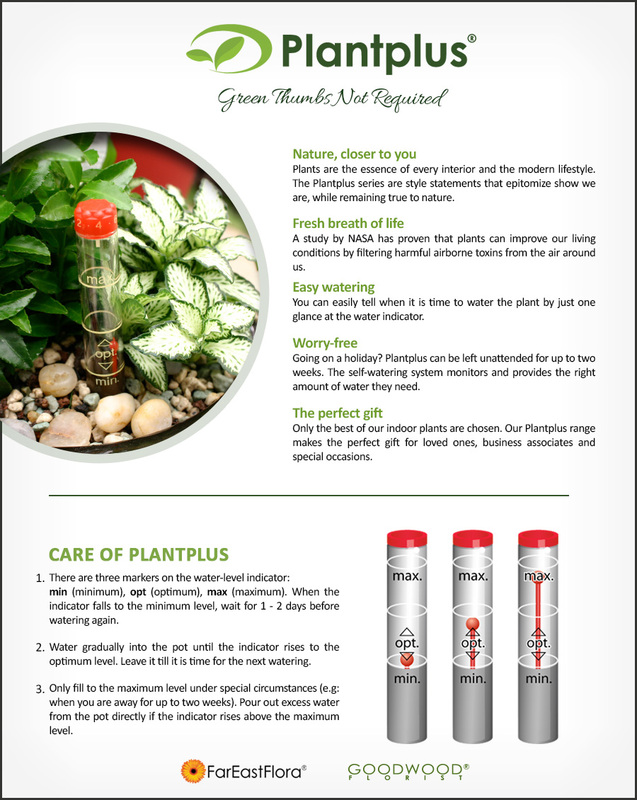 Water level indicator - refer to "Plantplus Care"
Pot type: Plastic pot with self watering indicator system. * Selected plant type/species subject to availability. Other similar plant type/species may be used as replacement or substitution.